We are desperate to make as much money as fast as we can, and we take shortcuts in order to try and accomplish our lofty financial goals. With the huge world of opportunities to invest in, many people try to find a quick way to earn money. 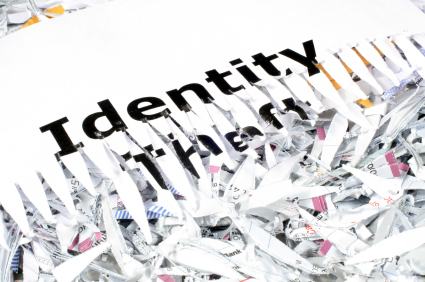 The most important way to avoid being the victim of identity thefts and investment scams is to avoid shortcuts. Avoid Shortcuts. If you make it a rule when choosing between investment opportunities to not take shortcuts that double your money in a small time period without any risks then you have saved yourself from most of the scams. No Return Without Risk. If an opportunity presents itself that promises sure high returns with virtually no risk you are looking at the primary recipe of a scam. The only investments giving a sure return in today’s uncertain age are government investment vehicles and they do not return more than a few percentage points a year. The first rule of investments is that the higher the risk, the higher is the possible return. If either side is missing then either you do not have complete information about the investment or the opportunity is fake to begin with. Know Your Representative. Knowing the person and organization that is representing you is very important. One way to see understand their honesty is to assess the claims they have made on their past returns and expected returns in the future. If these are incredibly promising over a long time horizon, then that is a potential red flag. Huge unsustainable rates of return are exactly what Bernie Madoff promised his investors. The stock market has historically returned anywhere between 8% and 10% annually including dividends. Anyone who is making claims of a higher, consistent rate of return than that is living in a dream world and may be unscrupulous. Make sure you judge the credibility of the source by looking at real past results. Know The Opportunity. If it is something you have never heard of, try finding out as much about it as you can about the investment opportunity. If it is a foreign firm with no existence on the internet or with any other credible source, there is a high chance that it is a figment of the other person’s imagination. Despite all of our wildest dreams, there are no members of foreign countries that want to safeguard their money with you until they can get it later. There are no legitimate businessmen in Nigeria that cannot get their money out of the country on their own. Do not be fooled by these scams. Someone once said that the right time to pull out of any investment is when you hear people on the street talking about its attractiveness. If news of an opportunity such as buying real estate in a certain area, a certain emerging market, a certain currency or a particular low-valued stock is all around you, then either it is a scam or an opportunity you are entering into too late. While many people are hurting after the recent stock market upheavals of the recession, do not exacerbate the problems by looking for fast money. Like your mother always told you, if it is too good to be true, then it probably is.